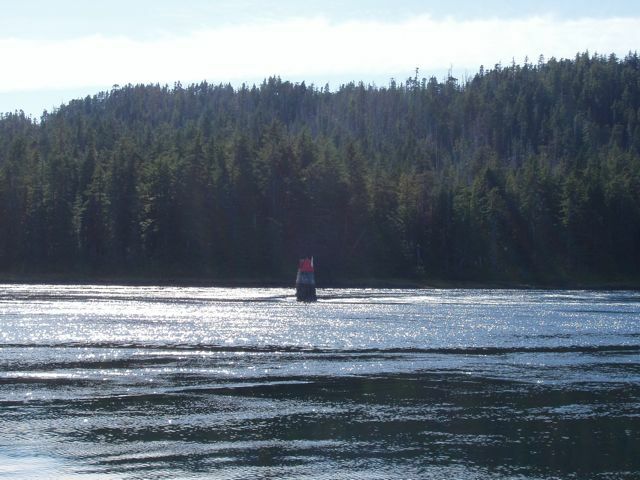 A channel marker in the narrows. 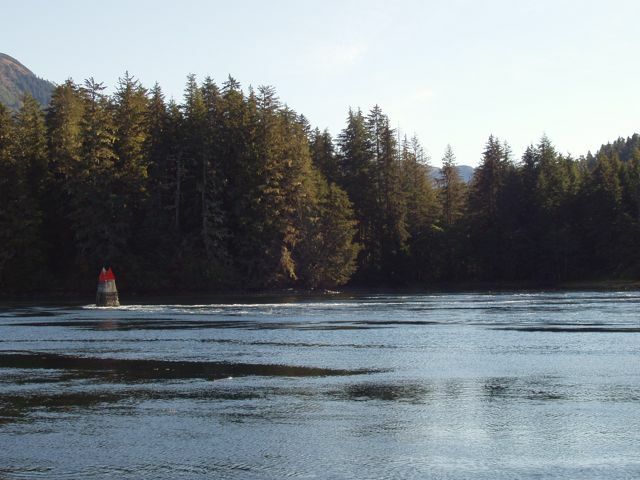 The tidal current is so strong that there is a wake downstream of the marker, and even an eddy flowing upstream! Again, the same marker showing the enormous current at low water slack tide. 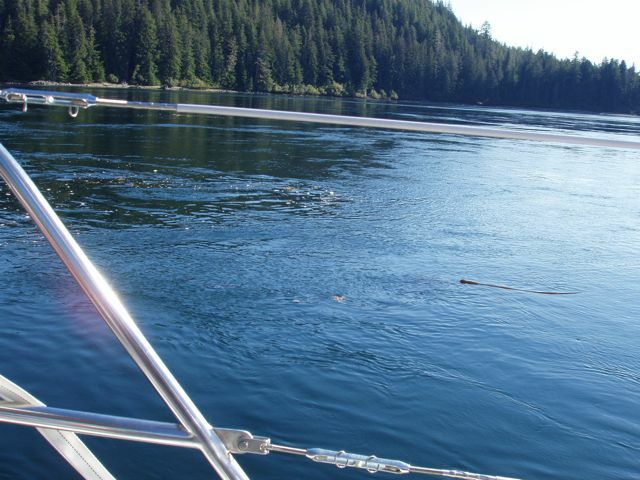 There are tidal swirls that made the boat swing through enormous arcs, completely out of our control. 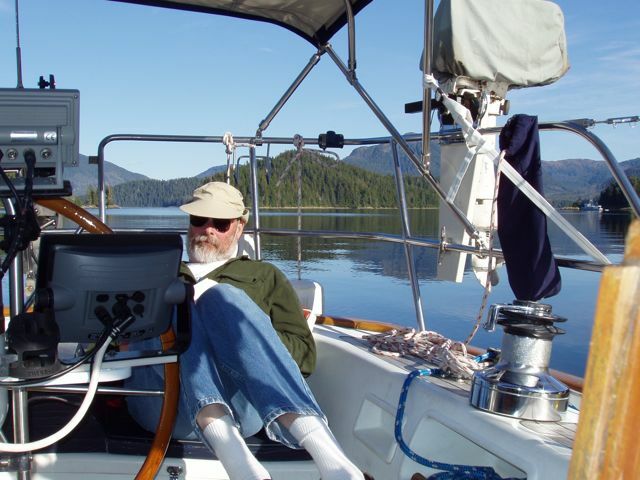 While awaiting suitable conditions in the next section of narrows, Bill works on completing the reading of his book on Napoleon.